According to the American Academy of Dermatology (AAD), following the same skin care routine year round may not work so well when the humidity drops, as it does in winter. Without a change in your skin care, dry air can make fine lines and wrinkles more noticeable. It can also itch, flake, crack, and even bleed. 1. Prevent baths and showers from making dry skin worse. If you’re got dry skin, be sure to limit your time in the shower or bath to five or ten minutes; use warm, not hot, water; wash with a gentle, fragrance-free cleanser; apply enough cleanser to remove dirt and oil, but avoid using so much that you see a thick lather; and blot your skin gently dry with a towel. 2. Apply moisturizer immediately after washing. Ointments, creams, and lotions (moisturizers) work by trapping existing moisture in your skin. To trap this much-needed moisture, you need to apply a moisturizer within few minutes of drying off after a shower or bath; or washing your face or hands. 3. Use an ointment or cream rather than a lotion, the AAD says. Ointments and creams are more effective and less irritating than lotions. Look for a cream or ointment that contains an oil such as olive oil or jojoba oil. Shea butter also works well. Other ingredients that help to soothe dry skin include lactic acid, urea, hyaluronic acid, dimethicone, glycerin, lanolin, mineral oil, and petrolatum. The AAD experts suggest that you carry a non-greasy hand cream with you, and apply it after each hand washing. This will greatly help relieve dry skin. 4. Wear a lip balm that feels good on your lips. Some healing lip balms can actually irritate your lips. If your lips sting or tingle after you apply the lip balm, switch to one that doesn’t. 5. Use only gentle, unscented skin care products. 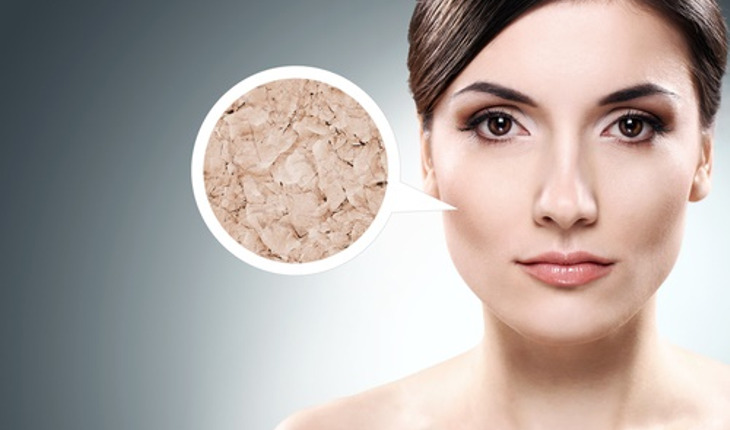 Some skin care products are too harsh for dry, sensitive skin. When your skin is dry, the AAD says, stop using deodorant soaps; and skin-care products that contain alcohol, fragrance, retinoids, or alpha-hydroxy acid (AHA). Avoiding these products will help your skin retain its natural oils. 6. Wear gloves. Our hands are often the first place we notice dry skin, the AAD experts say. You can reduce dry, raw skin by wearing gloves. Be sure to put gloves on before you go outdoors in winter; perform tasks that get your hands wet; or have grease, chemicals or other substances on your hands. Your skin should start to feel better quickly, the AAD says. But If these changes do not bring relief, you may want to see a dermatologist. Very dry skin can require a prescription ointment or cream. Dry skin also can be a sign of a skin condition that needs treatment. For more information on skin care, visit www.aad.org.